There is a spreadsheet that is always open on my desktop, the one that I check every time I float between windows or switch off my computer. It is called ‘to-do list’, and it contains all the tasks that are to be performed until January 7, the day i’m bound to take off to the Alps. Obviously, this is not much of a breaking news. But it does get those butterflies running as the list gets that ‘check’ after each item. The latest one, and one that definitely gets my winter Mojo running, is the ordering of winter tires for the van. 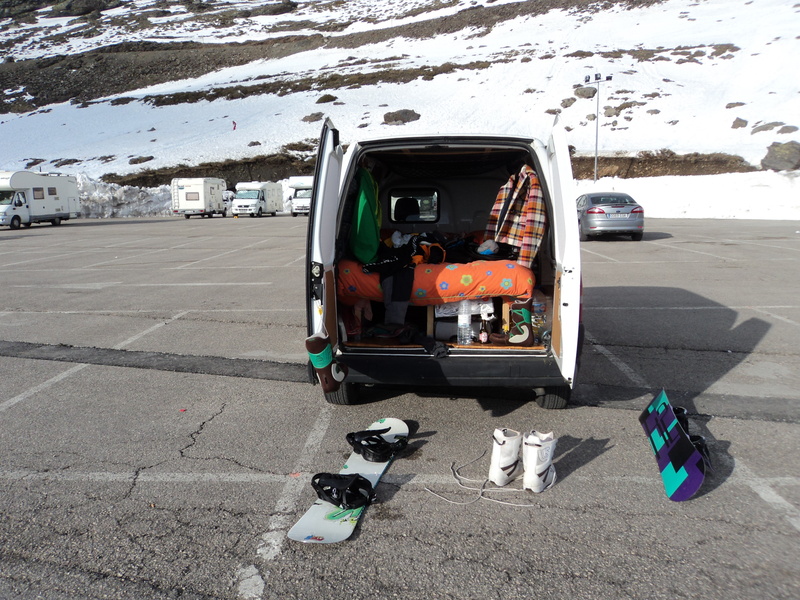 Every other item before that could have been used for other purposes – checking snow gear, updating travel insurance, ordering enough supply of contact lenses , brushing up the inside of the camper van… all that could be used even if there was no journey. However, spending hundreds of €€ in winter tires is kinda like the point of no return (OK, I’ve put an advance payment on my house in Gerlosberg… but that was long ago, almost doesn’t count anymore). What the hell would I do with winter tires in Faro? Nothing. See? Commitment right there. In the process I’ve been learning a lot about driving in snow conditions. I’m not going to brag about having been in the mountains with a car before, and snowchains and all. The truth is we Portuguese don’t know how to drive on icy or snowy roads. Period. Maybe that odd winter day where maybe there is a small patch of ice at night, or that yearly pilgrimage to the ski resort, where you catch a snow day – but then the car is parked and you only think of it when you return home. But driving a whole winter in snow conditions is definitely a new game. 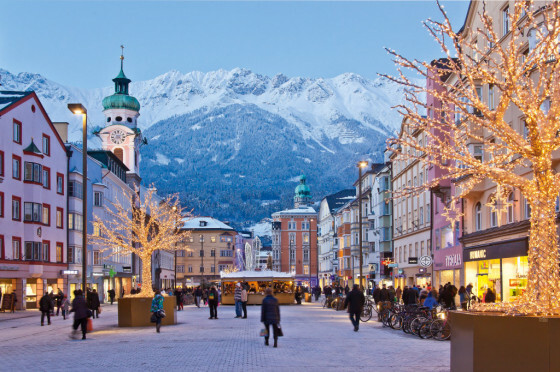 So snow tires are mandatory in Austria during winter. ‘Oh but you are a tourist, they won’t bother you’ someone told me. But I’m not falling into that typical portuguese desenrascanço (translation needed here) storyline. We’re good at improvising – arguably the best in the world! However, improvising while driving through the Alps in full on subzero temperatures does not seem to be the best idea. So let’s buy those suckers. Where? At my usual workshop… how naive of me. ‘Winter what? All tires are good for winter. What? Specific tires for winter? Oh, I’ve heard of those – the ones with the spikes? No? What do you mean then?’ After quite a bit of convincing, the lady went on to check in the catalogue and -alas!- there was a section called winter tires. ‘But only a month from now’ she said. No one ever ordered such a product there. I wonder why. So went on to the internet. Much cheaper tires, of course, but better learn your details boy. Should I buy reinforced ones for a cargo van? Are the dimensions the same? Are all kinds of winter tires the same? As long as it says the ‘M+S’ (for mud and snow) it is OK, apparently. The best websites I found were http://www.pneus-online.pt and http://www.pneucity.com . Cheap and shipment included, good service but not very detailed information. Anyway, I finished the order, scratched the ‘buy winter tires’ from the list and checked the calendar. This is the first big snowfall of the season, the Alps are getting hammered with the with stuff and the cold front is (hopefully) here to stay. Can’t wait to get on the road! In the age of airplanes, low cost airlines, speed transfers, online check-ins, speedy boarding and all the paraphernalia we want to get through as quick as possible, roadtrips are apparently something to avoid at all cost. And yet, there is something about packing a car up to the ceiling and heading for a 26-hour drive that is magically appealing. Living in a country with one single mountain hosting stable snow conditions, long drives to go ride on snow are something I grew accustomed with. Sierra Nevada, 5 hours. Serra da Estrela, 7 hours. Andorra, 12 hours. Maybe it was because I have been surfing for far longer that I am snowboarding, hitting the road to discover waves lost in the SW coast of Portugal got me (and every surfer, I suppose) started into this thing of enjoying the drive and the search for the perfect conditions, sometimes more than the riding itself. So this was the framework for The Perfect Winter travel plan, only now extending the journey time into the eye-popping 26 hours of road ahead. 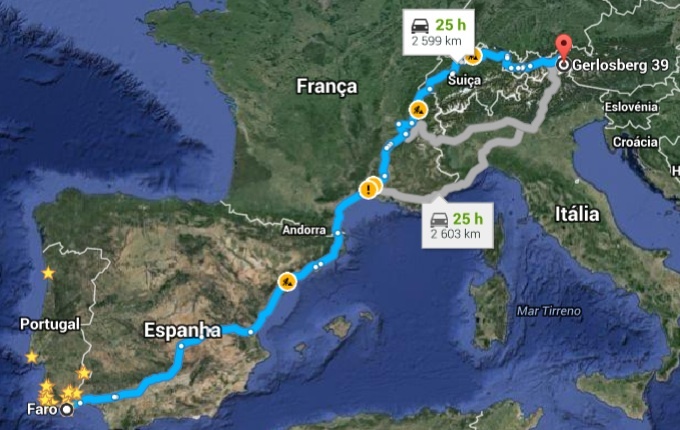 The journey through Spain is straightforward. The highways are almost all toll free, and the roads are well maintained. The Pyrenees crossing will be done on the South end, always next to the Mediterranean, and then into the ‘Le Med’ side of France. Here it starts to get costly: the crossing of France into Switzerland will cost around 60€ in tolls. Another option could be to enter the Alps through the South. The cost would be the same, because although the tolls are cheaper, the road tax (vignette) in Switzerland costs around 40€ and that evens out the cost of passing through the north of Italy. But – and this is a big but – the vignette is valid for a whole year, and that means that blitz trips into the Swiss Alps can be put into the equation. And the return is already included. Entrance into Austria will be through the Voralberg region, in the border next to the Bodensee. This lake separates (or unites?) 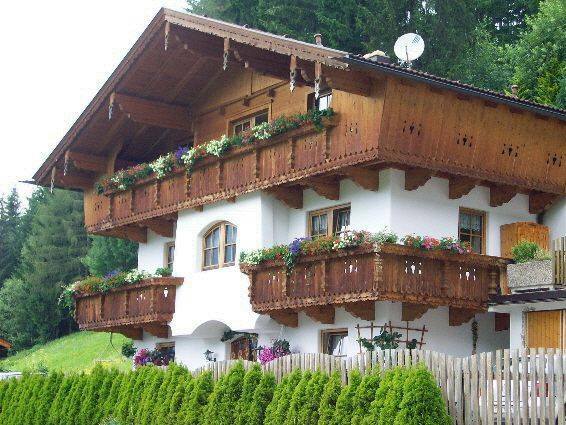 Switzerland, Germany and Austria in this beautiful part of Europe. And this is where the fun starts. The Voralberg region is riddled with resorts, the most famous of which are Silvretta, and Lech. But again, there are many more that are smaller, quieter and possibly much better to explore. Right after entering the Tirol region, the road actually crosses the St. Anton ski area. This is one of the most famous resorts in Tirol, with over 350km of groomed pistes and some impressive 200km of freeride area. Quite a welcome card. At last, the Ziller valley is just around the corner. If all goes according to plan, it will take 3 days to calmly get from sunny Faro to snowy Gerlos. Nestled in the slopes just above the town of Zell am Ziller, in the village of Gerlosberg, lies my home for the The Perfect Winter. And this, my friends, is just the beginning.